Northern Virginia Data Center Frequently Asked Questions | ATI Solutions, Inc. What does "facility is carrier neutral" mean? There are two different ways to provide internet service in a colocation center: carrier-specific and carrier-neutral. Carrier-specific facilities have already chosen the carrier that will provide internet services, and it is the only option available to their clients. In a carrier-neutral facility, the data center is not tied to any one provider, and instead allows clients to choose between a variety of telecommunications and internet service providers. Carrier neutrality can be a major asset for companies that want to get the most out of their data center services. Even if a business does not require carrier neutrality in its early days, it can be frustrating and expensive to make the switch to a neutral data center in the future. Better value. 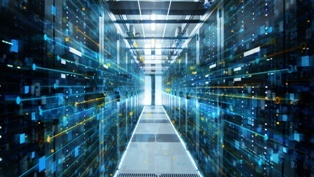 Since the data center accommodates a variety of providers, these providers will increasingly offer benefits to remain competitive in the market. Several companies vying for your business allows you to choose the perfect combination of all the services and options you might want to meet your current and future needs. Lower prices. A carrier-specific center might not allow clients to choose their network, hardware, or even software vendors, charging you for a one-size-fits-all service costing you exponentially more long term. Multiple carriers in a single data facility helps you negotiate the prices down not only of your main carrier’s services but of your secondary carrier’s services as well. Flexibility. Clients in a carrier-specific facility will be limited to the bandwidth and network options provided by that data center’s specific carrier, while those in neutral facilities can select service levels that will guarantee their required amount of uptime. They can also either scale up or scale down their required services with much more ease, even have the possibility to switch to a different carrier later on if needed. Protection. Carrier diversity is necessary for redundant systems, and is invaluable when it comes to cyberattacks, service outages, and data loss events. If one internet connection fails, an alternative carrier can instantly continue to provide support for vital systems, while interconnectivity between providers can continuously backup and transfer files to protect against data loss. In a carrier-neutral facility, you also get a say in exactly how you want your configurations for redundancy set up. 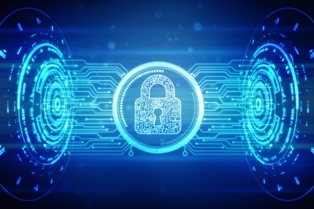 So many business owners oppose outsourcing their technical processes and critical hardware because they do not want to risk a security breach or create extensive downtime. While these risks are very real, they are minimized considerably with the right fail-safes and data protection procedures. ATI Solutions is a high-availability data center, utilizing reliable systems and components that will keep your virtual platform operational around the clock. Our technicians and engineers understand that any compromise to your systems can directly affect your ability to retain and serve your customers. Whether you have entrusted us with your hardware, your virtual platform, or the full range of your IT services, it is our goal is to provide you with continuous and secure operations that can be scaled up or down to meet the needs of your business. Redundancy. We have multiple redundant systems and components to eliminate downtime, all of which are maintained by onsite personnel and are regularly tested. Our Chantilly location offers 2N redundancy for power and cooling, while our Rockville location has N+1 configuration for power and cooling. Failover. We configure servers to switch mission-critical operations to a secure alternative server so that in a scenario where a sudden adverse event occurs (such as a power outage, natural disaster, or equipment failure) all function will seamlessly be transferred. This process allows operations to continue without disruptions to the user experience. Hardened security system. Our data centers use industry-standard privacy measures such as 24/7 security surveillance monitoring, CCTV with 365-day retention, and multi-factor access control system with biometrics, security PINs, and access card readers. Immediate intervention. Our business continuity team performs emergency and preventive services, helping you respond to an emergency and maintain your presence with as little interruption as possible. Cloud computing is the delivery of computing services—servers, storage, databases, networking, software, and analytics—over the Internet. Users can access their data whenever and wherever without physically hosting software or hardware. While it is often referred to as a singular “the cloud,” there are actually multiple clouds, each one controlled by a different provider (for example, Apple's iCloud). Cloud computing allows files, photos, software, documents, and other digital information to be stored and shared securely. The cloud can be used to stream video, analyze data, create apps, and complete virtually any task that requires data storage. As long as you have Internet access, you will be able to open and share anything that is stored in the cloud. Scalability. Your business can scale your operation and storage needs up or down to suit your situation, allowing flexibility as your needs change. Rather than purchasing and installing expensive upgrades yourself, your cloud computing service provider can handle this for you. Reduced costs. A cloud system reduces the need for high-priced hardware and software, as well as labor and storage costs associated with maintenance. Businesses can simply rent the space that they need on demand, without worrying about expensive infrastructure costs. Global scale. Cloud computing allows users to access files anywhere in the world using any Internet-enabled device, including laptops, tablets, and smartphones. The cloud makes it easy for users in multiple locations to work on the same project, since all users can access and edit files simultaneously (without the need for back-and-forth emailing). Reliability. If data loss occurs, cloud-based data duplication technology will allow users to securely store and recover their data. Protecting your data and systems is an important part of business continuity planning. Being able to access your data again quickly allows you to conduct business as usual, minimizing any downtime and loss of productivity. Manageability. 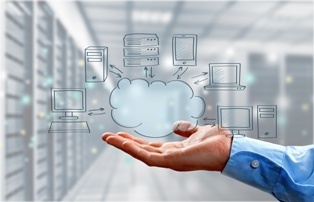 Cloud computing provides enhanced and simplified IT management capabilities through central administration of resources. IT infrastructure updates and maintenance are eliminated, as the service provider maintains all resources. ATI Solutions has partnered with cloud computing vendors to deliver three customized levels of invisible infrastructure to our clients. Let our DC-area data centers provide all the power, connectivity, protection, and security you need in a location that is close to home. Contact us today to get more information about how we can serve your needs or set up an appointment to tour our Chantilly facility. A colocation facility, sometimes called colo or co-location, is a data center created specifically for the housing and storage of servers, computing hardware, and networking equipment. Colocation may be compared to an apartment building, with each secure “unit” rented by a different tenant. The customers can either own their own servers or lease hardware through the colocation provider, but each will rent the space, bandwidth, power, and cooling necessary to house it offsite. Physical space. Multiple servers may take up whole rooms, decreasing usable floor space that comes at a premium for commercial renters. Utility costs. Since information technology hardware must be kept at cool temperatures and require high power levels around the clock, hosting them in-house may be cost-prohibitive. Flexibility: Choosing a custom-made building allows customers to personalize their colocation plan and decide which aspects of their system they focus on, choosing from a range of facilities for individual infrastructures and budgets. Physical security. Many colocation facilities offer multiple layers of security, including cages, video surveillance, card reader and PIN access, and 24/7 technical support. Economies of Scale. Colocation allows custom access to the technology and higher bandwidth requirements at a low cost for each of its customers, making it easy for growing businesses to upgrade without interruption. Disaster Recovery & Business Continuity. By placing servers in a data center, customers build in an extra layer of disaster recovery in the event of power loss, enabling them to recover business-critical data. Colocation offers backup generators and several redundancy methods to keep servers running. Connectivity. Colocation service providers utilize the investment into the facility to attract major telecommunication companies for wide area network (WAN), internet peering, and service providers like those of Verizon, Cox, Zayo, Comcast, and CenturyLink (formerly Level3). With that investment, it allows each provider to enter the premises with multiple access points creating a multi-redundant web of connections into the building to ensure you have the best bandwidth while being able to choose your carrier. In a digital economy, it is vital that businesses have the tools that will allow them to conduct business around the clock while keeping costs low. 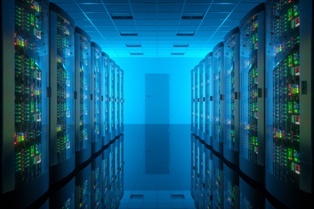 Our DC-area data centers offer all the power, connectivity, protection, and security you need in a location that is close to home. We are a family-owned company, so when you become a client of ATI, you become a part of our family. Contact us today to get more information about how our data centers can serve your needs or set up an appointment to tour our Chantilly facility.